Nice collection. Do they live by a window? Most of mine do, but winter in the NE can be rough with so little daylight. Every so often I make sure they get a blast on sunny days! Cool collection. I like your style! Where are the damn Invicta's? 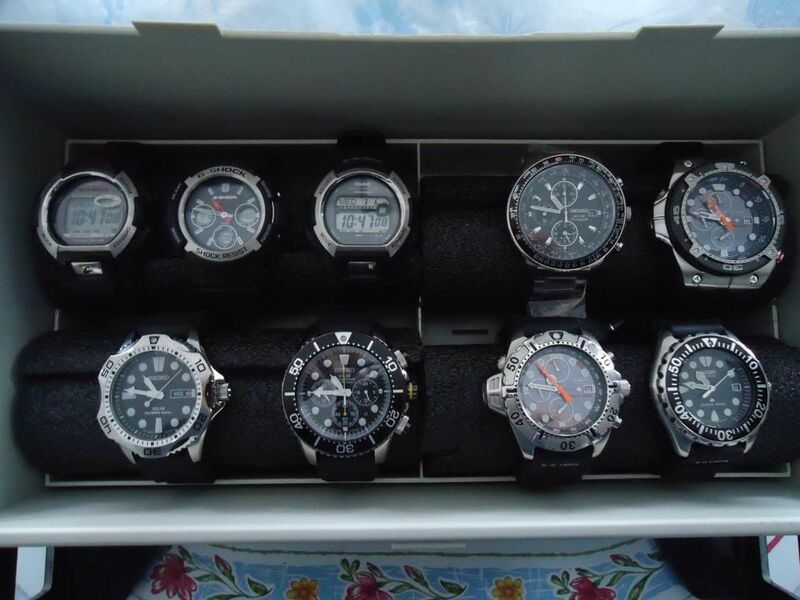 So you have Casio, Seiko and Citizen but nary an Invicta? Nice collection of solars though. Thanks for the compliments. No Invicata watches! 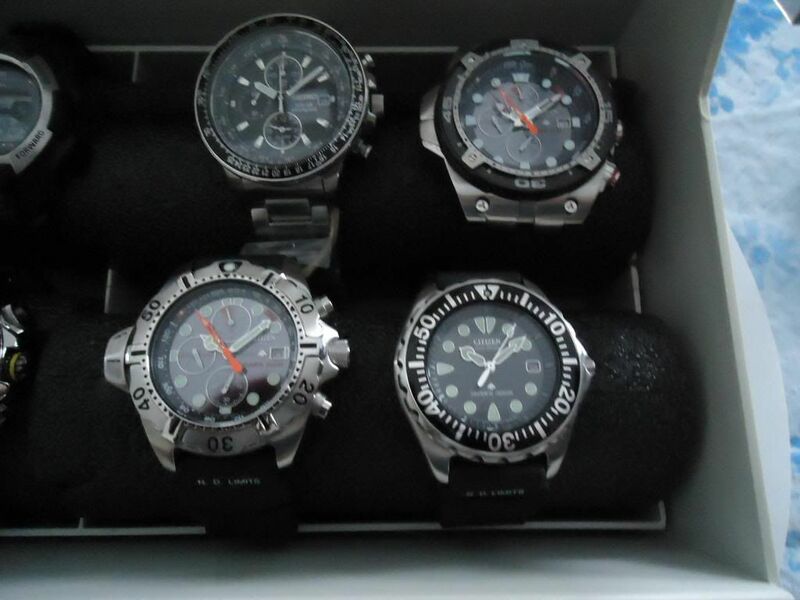 These live near a window in a makeshift watch box, which has a smoke tinted top. The two Citizen Chronograph watches have charge indicators, the bottom left typically is at L2 in the early morning, by 0900 with the lid closed on the box it moves to L1, which is a full charge. The G-Shock watches are always fully charged. So the tinted top is not interfering with keeping them charged when not in use. I hear ya, don't fight it just give in and go for it! Just say the Devil made you do it. Thanks, I'm liking it more and more. 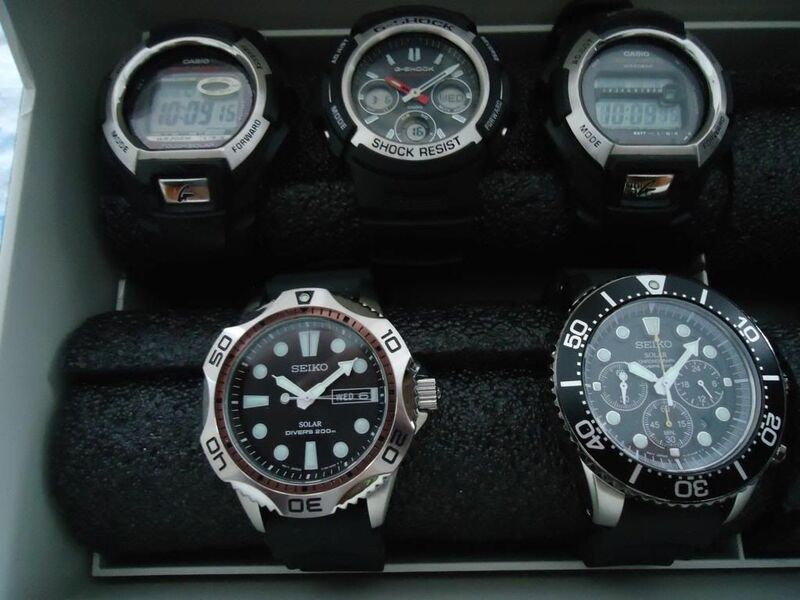 I'm also hooked on some of the new G-Shocks, I have a feeling there's one in the not so distant future for me if the price is right. A very sweet collection there, AD!